The Mico AP infant car seat is the lightest infant car seat in its class and features an ergonomic handle for extra comfort while carrying. The Mico AP features advanced Air Protect Side Impact Technology. This patented Air Protect cushion system protects around your baby’s head, where it’s needed most. 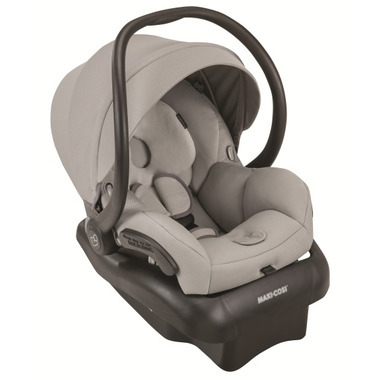 The comfortable premium fabrics and padded 5-point harness covers keep baby secure and cozy during the ride, and the included Cozi-Dozi head insert is perfect for the extra support needed by infants. Each Mico AP comes complete with a multi-position sun canopy with a flip out visor to help protect baby’s sensitive eyes from bright lights.